Stripe carry-all tote. Keep all necessities together wherever you go. Comfortable and attractive polyester stripe carry all tote bag in navy and white stripe. Perfect for an out the door day bag with the children, traveling to work, school teachers, craft classes or book club. Casual and lightweight, lined with one inside wall pocket. Vegan leather handles. Bold contrasting stripes. Over the shoulder carry. Stylish and convenient tote for any season. 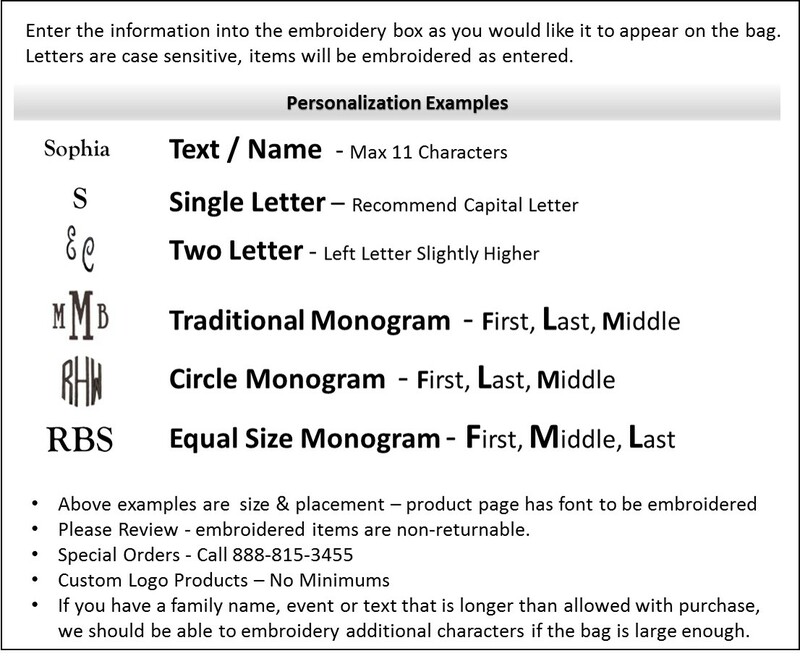 Add your personal 2.5" accent monogram for a complete and stylish look. NOTE... THE LAST LETTER ENTERED INTO THE MONOGRAM BOX SHOULD BE THE FIRST INITIAL OF THE LAST NAME, IT WILL BE LARGEST AND ON THE RIGHT SIDE. The stripe tote measures 13"W x 14"H x 5.25" across the bottom. Open tote.